Training in the medical device world is about to take a sharp turn toward the Internet of Medical Things (IoMT) and Medical Device Sales Reps will lead the way. Artificial Intelligence (AI) is driving the pace of healthcare change to a preventative and predictive posture and the pace is accelerating exponentially. This new direction in medicine has the potential to make existing eLearning training obsolete. IoMTs are a group of medical devices with linked application to healthcare information technology (IT) systems bringing with them massive growth opportunities based on patent scenario and market potential. A group of implanted and connected ecosystem of sensors and devices tagged around the individual to capture, measure, and identify key data; stratify risk. Healthcare decisions are made based upon this information and action plans implemented. eLearning for Medical Device Sales Reps will be called upon to bring their understanding and knowledge of AI and IoMT directly to the practitioner and their skills will ultimately deliver better value in healthcare to the ultimate consumer, the patient. The healthcare industry is expected to move from reactive patient care to proactive patient care leveraging IoMT and Medical Device Sales Reps will be in the forefront of demonstrating and employing this enhanced approach to health care. Training for medical device sales through eLearning has been the bedrock of the sophisticated Medical Device Sales Rep for roughly two decades. 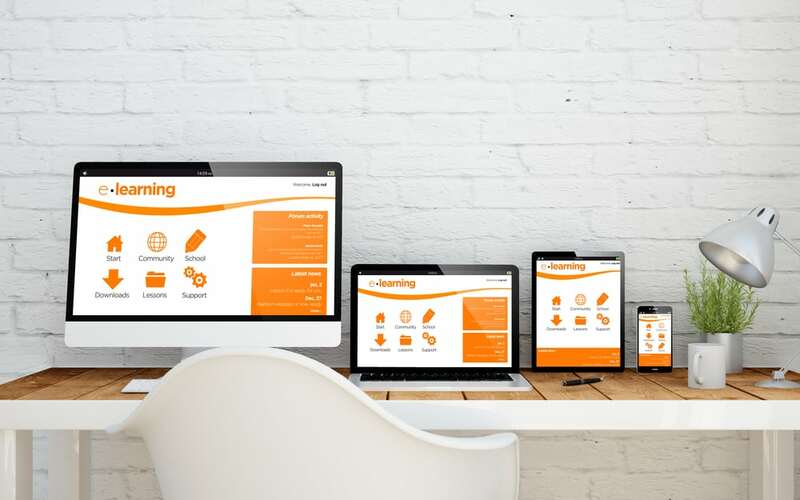 The culture of eLearning in the Medical Device industry is one accustomed to responding to modification in design and delivery. AI will create modifications in design and delivery on an unprecedented scale. Distance training has supported Medical Device Sales Representatives nationally and internationally working hand in glove with a sales staff which is one of the most sophisticated in the world. In the United States and the United Kingdom most Medical Device Sales Reps have a degree in business or health sciences and many have an MBA. Medical Device Sales Reps are a natural for the technical healthcare evolution which represents not only a new skillset but a new mindset. Medical device sales positions are coveted and require a strong intellect to master the skills and qualification necessary to stay competitive in this industry. This is a knowledge driven salesforce that is highly incentivized. Their skillset includes complex and technical product and medical knowledge, public speaking, sales and business skills, interpersonal skills, communication skills, a history of proven sales networking, and a self-motivated work ethic. Medical device sales representatives share knowledge as the foundation for their sale to a greater degree than almost any other specialty. Training is the foundation for the acquisition of this knowledge fundamental to a successful sales relationship representing companies that often design, develop, manufacture and market implantable devices. Medical Device Sales Representatives have the intellect and the personal relationship savvy that places them in the top percentage of sales persons. eLearning represents a tailor-made medium for IoMT training building upon the wealth of knowledge sales reps have mastered. Medical device manufacturers and distributors provide training in sales and to educate the sales person on the manufacturing, testing, surgical implantation and patient use of the device. The healthcare industry is expected to move from reactive patient care to proactive patient care leveraging IoMT. This shift to IoMT will require intensive training. Medical device sales reps are required to be familiar with the anatomy of the entire body and a full understanding of the anatomy and physiology of the designated location for the device. For example, cardiovascular sales reps who specialize in artificial heart valves and other implanted cardiovascular devices must understand cardiac anatomy and function as well as pressure gradients within the heart and great vessels. This knowledge depth is required in all sales specialties with it is intraocular lenses or orthopedic devices. This knowledge base will grow exponentially with the IoMT and the training will expand in tandem. As the smart hospital market moves to remote patient monitoring and chronic disease management a new approach to medical device training which covers this shift in healthcare is emerging. Medical Device Sales Reps have long been immersed in every aspect of their product and the IoMT will be no different. Sale reps will have to learn about big data analytics, blockchain, the ecosystem of sensors and devices tagged around the individual capturing, measuring and identifying key data, risk stratification and medical decision based upon that data and associated risk. Sales reps must understand every detail about the device, the conditions they treat, how they are constructed, which FDA regulations govern each device and which surgical approaches are right for each device. Cardio sales reps perform valve surgery on pig hearts, both dead and live. Interocular lens sales reps learn to implant and IOL. It is not uncommon for a surgeon to request a sales rep to be present during surgery. Now they will have to understand how to engage in remote patient monitoring and chronic disease management through smartphones and mobile applications. As devices are modified and updated sales reps expand their knowledge-base so they are able to explain and often show what these modifications mean in terms of patient treatment and care. Physicians have a duty to discuss those risks associated with a medical device with their patient. Sales reps discuss these risks and enhance their understanding of the device. Online training is often a perfect medium to educate the sales rep on modifications to an existing device. It is a perfect medium for AI training as well but is crucial to respect the value of the sales rep’s time and level of knowledge. Some reps will begin their training at a higher level than others. Branching in training represents the perfect way to allow the sales rep to choose their own level of learning. Building on existing processes has always been how medical device training has functioned when modifications are introduced. With AI support training there may be an enhanced need for interventions to support, accelerate and direct the learning process from the context of the existing medical device knowledge. Successful design and delivery of these processes is a reflection of an understanding of the impact AI has on that particular medical device. 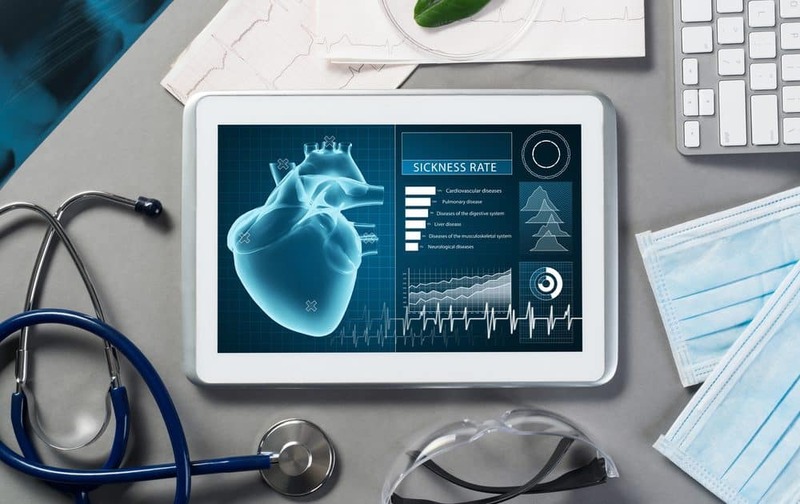 Artificial Intelligence (AI) and big data analytics have entered the medical device realm with the ability to provide actionable health insights that improve clinical outcomes. Medical devices are increasingly becoming more complex and the incorporation of artificial intelligence is just around the corner. By 2020 it is anticipated the prediction of disease will be a function of AI whether it is identification of a disease, monitoring or prevention. Artificial intelligence and its comprehensive disease database have the ability to provide ‘roadmaps’ able to guide patient therapy with improved outcomes. Amazon has consistently moved into the health sector during the first half of 2018. A new healthcare company was announced in conjunction with Berkshire Hathaway and JPMorgan Chase in January. It acquired an online pharmacy for roughly $1 billion. It is also considering the sale of medical devices and over-the-counter healthcare products on its website. Amazon has also reportedly built a team within its Alexa division to explore ways to make the virtual assistant, which is powered by artificial intelligence, more useful in healthcare. Software to create 3D customized personal medical devices, primarily for the treatment of cancer was recently granted by the FDA with a 510(k) clearance for Adaptiiv’s 3D bolus software, allowing the company to market the 3D printing software in the U.S. The heart-rate sensor in the Apple Watch has harvested massive quantities of anonymous data for its heart study, in partnership with Stanford. It has been suggested that Apple will ultimately seek FDA approval for apps that rely on the heart-rate sensor to deliver medical advice. 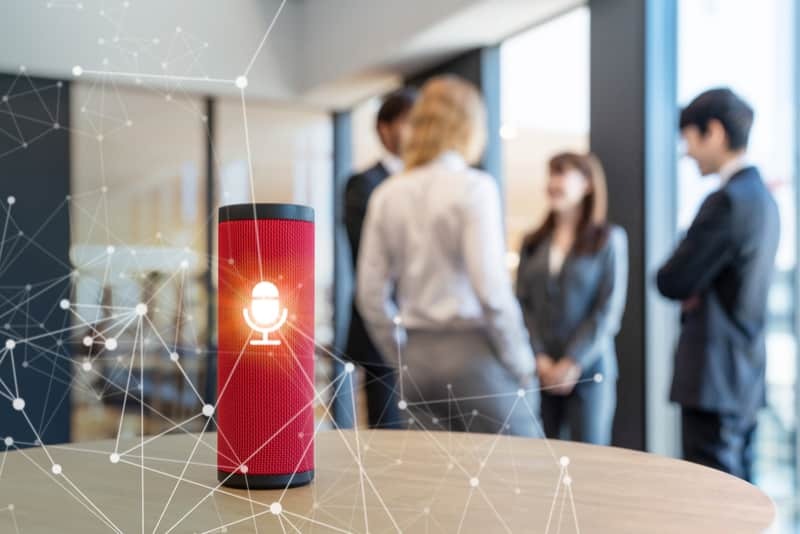 Artificial Intelligence is intertwining with healthcare from all directions and eLearning must support the sales team, the practitioner and the ultimate user, the patient. Artificial intelligence will personalize medicine and drug discovery through bioinformatics engines that provide actionable insights from patient data to drive improvements in both the effectiveness of current cancer treatments and the discovery of new treatments. This virtuous circle means the IoMT will become a fundamental element of many medical devices. The IoMT innovation is part of a larger phenomenon which provides doctors the ability to better identify disease and predict it before it becomes catastrophic. David Niewolny, director, market development, healthcare, at Real-Time Innovations (RTI) estimated that roughly 50% of the world’s installed medical devices and 90% of the devices that have been introduced in the last year have the ability to connect to a larger network. He believes healthcare systems could connect medical devices to their networks and by 2025, most hospitals will have the ability to network connect more than 90% of their devices. GE Healthcare is building hospital command centers reinforced with artificial intelligence and predictive analytics to streamline the hospital’s clinical operations. Hospitals include Johns Hopkins Hospital, Florida Hospital and Toronto, Canada-based Humber River Hospital. Patient care is coordinated with data from existing IT systems to apply AI algorithms that can identify ways for staff to better prioritize certain patient care activities, make short-term staffing decisions and proactively mitigate potential bottlenecks. Not only will Medical Device Sales Reps learn about AI in healthcare but practitioners and patients will have eLearning needs. Medicine is uniquely suited to a safe and effective environment for artificial intelligence. It is a regulated industry, with devoted, educated, highly trained and risk-averse practitioners accustomed to incorporating new technology and insights into their practice. Time has a high value for the Medical Device Sales Representative. Income ranges in the hundreds of thousands of dollars. The Sales Rep is constantly looking for that feature or access point that makes their product superior and they rely on the technical knowledge obtained during training to prepare them for the sophisticated discussion required to sell their product in a competitive environment. Sales training seminars administer through a platform and accessible when time allows are tailor made for a busy Sales Rep. Every successful Medical Device Sales Rep has something unique to share. The reality is that they are an expert in their field. Every day they have stories they tell practitioners and they know what is of interest to them. They possess a unique knowledge relevant to their specific niche and now will enhance their skillset with AI knowledge. They know it is important to demonstrate their service level and that is built exclusively upon technical training and shared through a sophisticated sales relationship. They understand how to engage the practitioner in conversations focused on value. Leading the way with AI enhances their service calling. Webanywhere provides cutting-edge learning management systems and are researched and developed by professionals with extensive experience. Additionally, Webanywhere develops Artificial Intelligence applications like Sound Branch for team-based communication for sales teams. Webanywhere stands squarely on the corner of learning management and artificial intelligence applications with a clear understanding of the future of healthcare as supported by learning management.